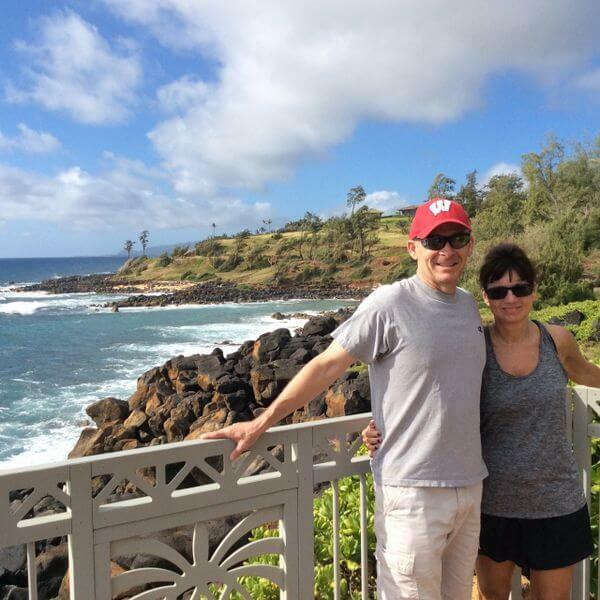 This Couple to Visit Hawaii for 3rd Time – All Paid With Miles & Points! Vonda and Alan are our newest reader success story to show folks it’s possible to travel without spending a lot of money. 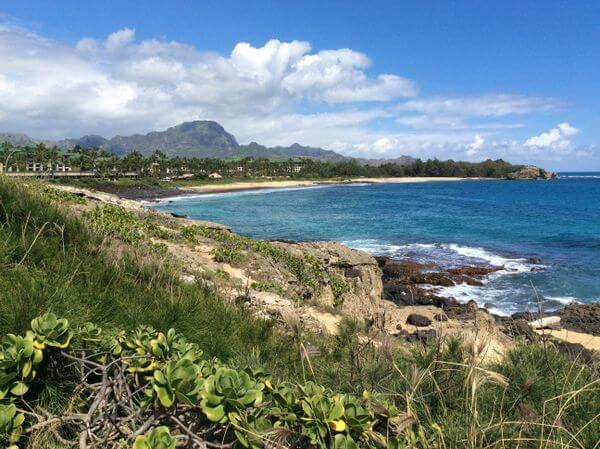 The Kapaa Bike Trail on Kauai Is a Great Way to Spend a Winter Day! A big thank you to Vonda and Alan for sharing their story! Our names are Vonda and Alan. We got our start in the miles & points hobby about 4 years ago when I opened a mailing offer of Vonda’s from Southwest Airlines. She applied for the Chase Southwest Plus card, and I soon followed. After doing some research into their Rapid Rewards program, I kept reading something about a Companion Pass. So I Googled it, which led me to a post on your website, which I’d never seen before. That day opened our eyes to the world of miles and points. Four years ago, our original goal was to get a couple of free flights to Florida from Wisconsin. But within a year, things started to grow like we never imagined, and we started getting involved in other airlines and hotel programs. Before that, we maybe took one trip a year via plane. The last couple of years, we have been taking 4 to 5 trips per year to places like Aruba, Mexico, Las Vegas, Punta Cana, Grenada, and now our new favorite location, Hawaii. We are leaving shortly for our 3rd consecutive trip to Hawaii and will be planning for next year’s trip when we get back. 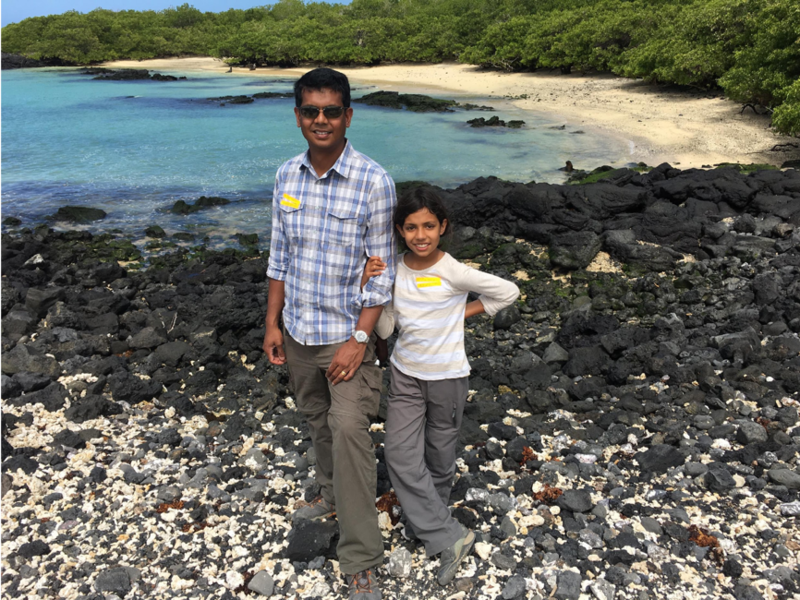 For our first trip to Hawaii, it maybe took 6 months to accumulated the needed points. We each got the US Airways cards when they were available. We also picked up Citi’s AAdvantage Platinum Select World Elite Mastercard. Because we own a couple small businesses, we were also approved for their small business cards. For our hotel, my wife opened the Chase Hyatt card and got the 2 free nights. I had a Chase Freedom, Chase Sapphire Preferred, and Ink small business cards. So I kept transferring my accumulating Ultimate Rewards points into her Hyatt account until we had enough for a week at the Andaz Maui at Wailea Resort. Last year we went to the Grand Hyatt Kauai for 8 days and loved it so much that by our last day there, we vowed to come back this year. We have been using American Airlines miles to fly to Hawaii the last couple years, as we had a couple hundred thousand points. With our future flights, we plan on still flying American Airlines, but will switch to our Citi ThankYou points. We each got the Citi Prestige when the sign-up offer was 50,000 Citi ThankYou points (no longer available). And the Citi ThankYou Premier when it jumped up for a short time to 60,000 Citi ThankYou points (no longer available). 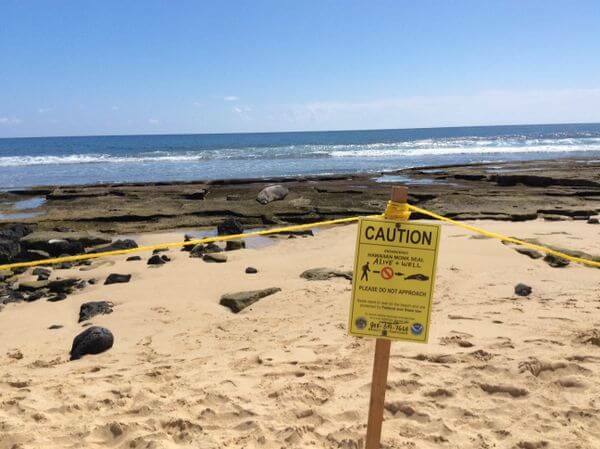 American Airlines has gotten so bad with having any saver or business seats to Hawaii. And their anytime awards are 40,000 to 50,000 miles one-way, so I would’t recommend them. As far as hotel cards, we’ve been very happy with Hyatt’s program. My wife has a card in her name. And a lot of my Chase Ultimate Rewards points go into her account. To search our Hawaii award flights on American Airlines, we went directly to American Airlines’ site and booked within a week of them becoming available. For booking our Southwest Caribbean flights, Southwest’s homepage makes it very easy. We usually book one person’s flight, and after it is completed, it will ask if you want to book a companion. Then we just book another flight for spouse. We also love you can make changes with no penalty. Just the other day one of our upcoming flights to Mexico dropped 5,000 points, so I canceled and rebooked in 15 minutes. On no other airline can you do that so easily. Also I heard rumors on this last year, but last month just prior to landing in Aruba, the flight attendants announced Southwest will be going to Hawaii soon. Yeah! Finding hotel accommodations was easy using Hyatt’s web site. We also use TripAdvisor a lot to narrow our hotel choice down to a certain location. We’ve found that even if you’re a lower level elite in hotels programs, we’ve still gotten great room upgrades without asking. We got a Executive Beach Front room 100 feet from Grand Anse Beach in Grenada, and on our Hawaii trips been upgraded to pool- or ocean-view rooms. The most challenging part of planning our trips today is finding enough vacation days from my wife’s work. We’ve been using our Citi Prestige card with their 4th night free to go on 4-day mini vacations over weekends or holidays so she only has to take 1 or 2 days off. We easily saved over $1,000 on hotel stays last year, making the $450 fee worth paying. Last October, we stayed at The Barcelo Maya Palace in the Riveira Maya for 4 days for $165 per night for 2 people. This was a 5-star all-inclusive resort on a beautiful private beach. 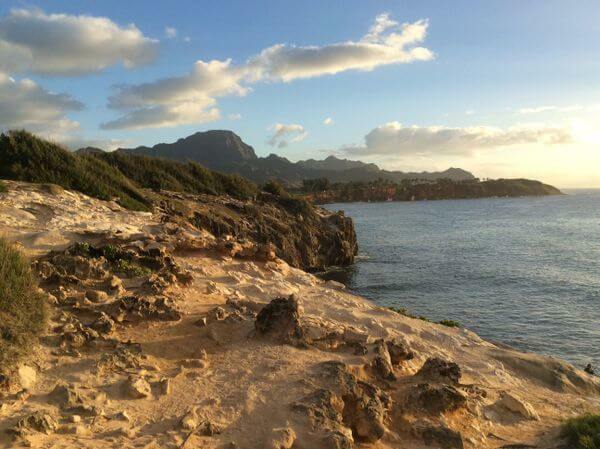 If staying at the Grand Hyatt in Kauai, I would recommend checking out the Maha’ulepu Trail right next to the Hyatt. Go to Shipwreck Beach and trails will lead up the bluffs and along the ocean towards the golf course. I went up there many mornings to watch the sun rise over the ocean, and with the mountains behind you it is a breathtaking sight. 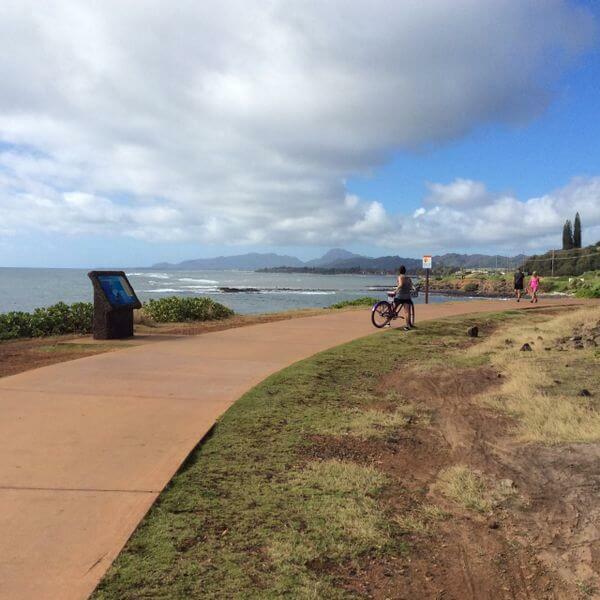 There is also a 6-mile bike trail that follows the ocean starting in Kapaa. We rented bikes right in Kapaa, and spent a couple hours round-trip. I think the bike rentals were less than $20, a great deal considering most things in Hawaii are very expensive! We also drove our rental car to Waimea Canyon. Views were also great, funny how much the weather changes on Kauai. Left Poipu was sunny, got to Waimea canyon was cool and foggy, then back to Poipu and sun! We are planning to visit the Na Pali Coast by Catamaran (boat) this year, and heard it is the only way to see it close besides helicopter since there are no roads in this area. We were booked to go last year but the seas were too rough. What we’ve learned on these trips is there are so many beautiful places in this world to see and visit, and couldn’t be luckier to stumble onto the world of travel points and miles. 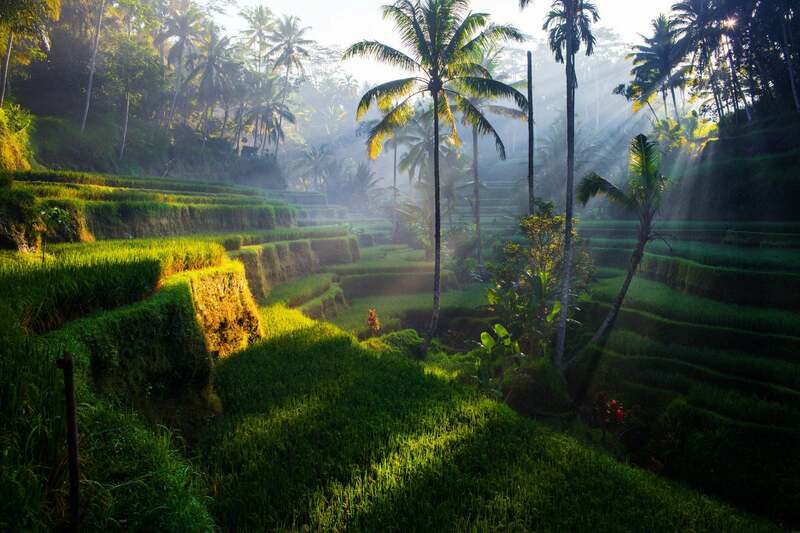 We’ve heard so many people say they hope to travel more when they are older and can afford it, but never see that day. Fortunately for us that day is now. And we don’t want to take it for granted. We never know when our lives may change and not allow us to do this. Get information, it’s out there! Whether it’s blog sites like Million Mile Secrets, or guidance from someone who has experience in traveling on points. Most who have been doing it love to help newcomers get their start. I personally felt great helping some good friends of mine celebrate their 50th wedding anniversary. They said they wanted to visit Hawaii for the first time. I offered them to help get them there on points, and guided them through the process. They are leaving for Kauai in a few months and saving $6,000! What are the resort fees and parking and taxes? I’m looking at Mauis Hyatt and it’s 37 parking, 35 resort fee plus 15 percent taxes. That’s $200 a day. What’s you experience? I’m going in March where the rooms rent for $1,000 a night is its $150 in taxes. Are you asking about hotels or timeshares? 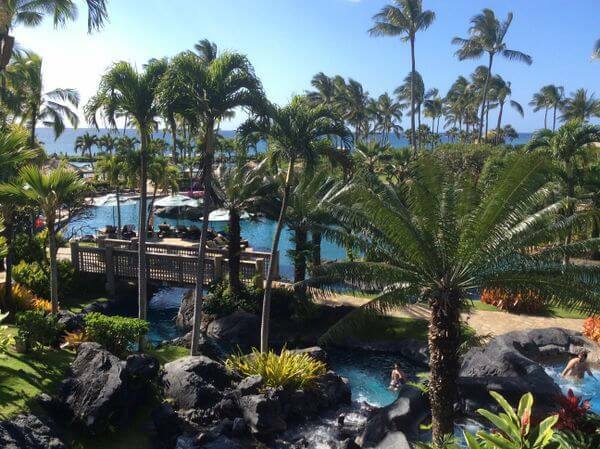 Hyatt has a timeshare on Maui, and I know people who bought oceanfront for the view and the huge lanai. The units are gorgeous. But you do pay property taxes, the TAT tax, and of course the buy-in is very expensive. There are maintenance fees that sting as well. If you need fancy, you have to pay for fancy. One way to get hotels cheaper is through credit cards. I personally don’t enjoy hotels and like a homey atmosphere much better. Resale timeshares are much less expensive. You can buy the Westin from an owner for about $30K for the deed to one week, oceanfront. Westin has ROFR. The Marriott down the road also has ROFR and can be had for about the same price. The annual fees for a 2 bedroom lockoff for those two brand names are around $2,700. That is too rich for my blood. Now you can separate the two halves and stay for two back-to-back weeks. One week you have the nice big unit, and the next you have the smaller side of the lockoff. For us, it was all about the view and not the fancy amenities, furniture, beds and spa bathrooms. We pay zero for parking and pay only a TAT (Transient Accommodations Tax) of about $10 per day. But we do pay $1,650 week for that 2 bed, 2 bath to maintain it. Biggest challenge has also been vacation time especially for my husband. He’s even asked for time with no pay just to get the days off and we’ve done long holiday weekends but that can be more expensive and busier time to travel. Glad we have points and miles to help with the peak time expense. I can understand why people leave the workforce to travel and have we are considering doing just that, at least for a few months. Just redeemed all my thankyou points? Think it’s worth keeping premier now that I have Chase Reserve? We are going to Maui next week on points and miles for airfare, and Kauai late May-early June. We learned about building points and miles from you, Daraius and Emily. I haven’t paid airfare since I started reading your blog. I have learned so much here, and then I go to Flyertalk, too. We do a lot of manufactured spend, which you don’t cover as much as before. We have a little oceanfront timeshare we stay each year on Maui. It’s not fancy at all. We bought specifically for the view. We actually love timeshare, though it’s much maligned by most bloggers. We would never pay the developer price, with resales literally pennies on the dollar. We own three weeks and pay maintenance fees to stay each year, about $1,650/ week, and it’s West Maui, on Lower Honoapiilani Hwy. We stay there every year and love going back to the familiar place with its two bedrooms and two bathrooms and full kitchen. We always invite someone along to use that second bedroom. We love spending time on our lanai, watching whales. Our lanai is 40-50 feet from the ocean. We are retired now and travel 10-12 weeks per year, and hotel points would be costly for that much travel. We stay in an occasional hotel, but timeshare has been good to us. We have the companion pass with Southwest after transferring 90K miles to Marriott for the 270K conversion. We bought a five-night travel package in January, right before the announcement that Southwest would still honor the points transfer from Marriott. All in all, retirement is just what we always hoped it would be. Yeah! It took 2 rounds of 6 months manufactured spending but we earned for 2 trips AA first class and Waikiki Hyatt then Hilton stays along with bonus $. But it’s getting harder to earn since chase put the brakes on our hobby. Now we take shorter cheaper excursions. Timeshares have worked for me as well and a great way to look forward to a vacation, yes there are the maintenance fees but it’s like a prepaid vacation. You can also usually buy extra weeks at some destination and if your flexible you can find cheap accommodations at a great destination.